Home news Somalia Blasts Expose Glaring Security Lapse and Likely Shabab Infiltration. 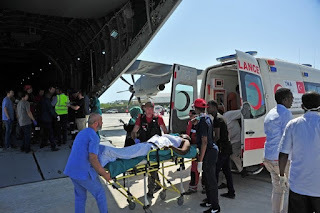 Somalia Blasts Expose Glaring Security Lapse and Likely Shabab Infiltration. 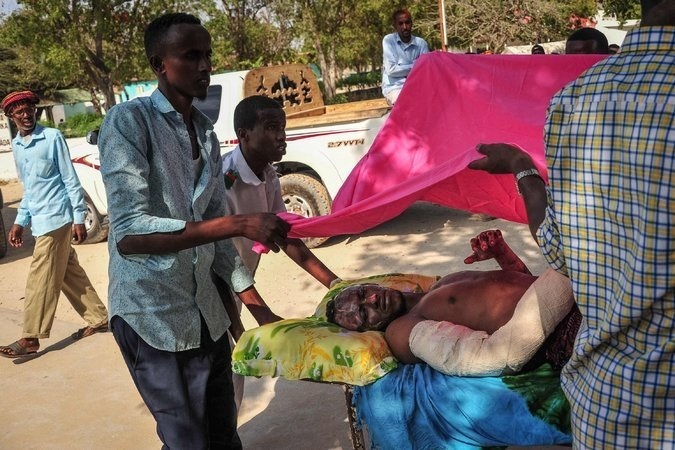 Car bombs, grenade attacks, assassinations and abductions by Shabab insurgents shatter the fragile veneer of calm in Somalia with such regularity that barely a week goes by without a deadly assault. Two large explosions occur on average in Mogadishu, the capital, every month. In June, more than 30 people were killed when militants stormed a popular restaurant in the city. Politicians and businessmen have been shot dead in broad daylight. Aid workers have been kidnapped, scores of civilians gunned down or killed in roadside bombs. The violence is so pervasive that embassies are located inside the international airport. But even by Somalia’s standards, the twin truck bombings this past Saturday in Mogadishu that killed more than 270 people, including at least three Somali-Americans, were unusual in their scale and brutality. 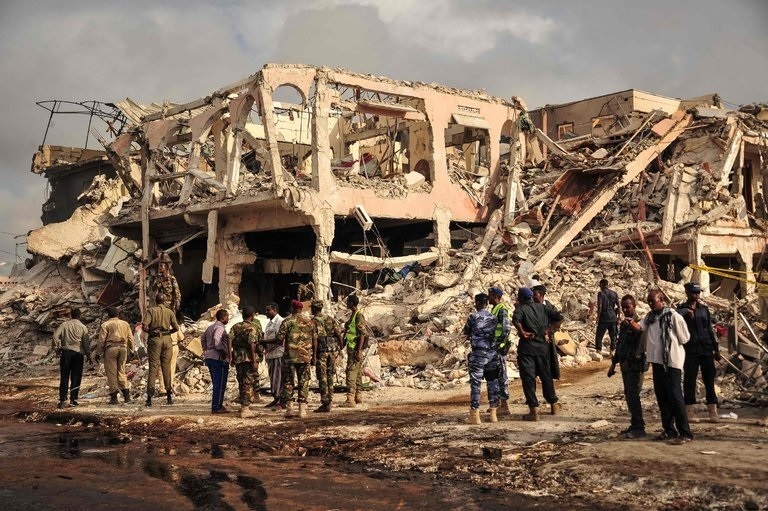 Although the Shabab, Somalia’s Islamist extremist organization, has not publicly claimed responsibility, its members are thought to have orchestrated the attack, one of the country’s most destructive, and may have even received inside help. Some Somalis are referring to the attack as their version of 9/11, and the president has declared three days of mourning. Even a reformed Shabab leader was seen donating blood to victims, calling on his former colleagues to renounce violence as he had done. “There is no other solution than to unite and fight against the people” behind the attacks, he told reporters. As rescuers continued to pull bodies from the rubble, many expressed fears that the country could slip under total control of the Islamist group, which has links to Al Qaeda. 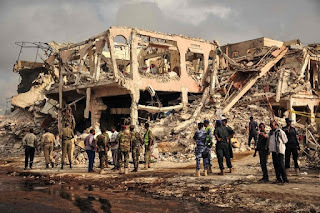 They have waged a battle against the government for more than a decade to try to impose their version of a strict Islamic code, and have recently stepped up attacks in Mogadishu, where the government survives under the protection of international forces. There are also worries about what will happen if those international forces withdraw from Somalia, which could happen as early as next year. The government has come under intense criticism for a conspicuous policing failure that helped enable the truck bombers. “The security was absolutely weak,” said Mohamed Abdirahman Mohamed, a student at Mogadishu University. In one early sign of the political fallout, Somalia’s Internal Security Ministry said that its spokesman, Ahmed Sayid Arab, had resigned and that a replacement had been appointed. This summer, Somali lawmakers and some international donors claimed to have seriously weakened the Shabab amid efforts by the United States and African-backed forces, called Amisom, to contain the insurgency by wresting control of Shabab-held territories and killing key figures of the organization in drone strikes. At a conference in London in May, world powers agreed on plans to support and train Somalia’s army and take over a task currently performed by African Union troops. However, analysts say that the Shabab’s capacity for mayhem remains far from diminished. In fact, in recent weeks, Shabab operatives have been gaining ground. On Saturday, as the bombs went off, the group took over the town of Bariire, just 31 miles from Mogadishu in the Lower Shabelle region. “It’s a cold, cold blast of reality,” said David Anderson, a professor of African politics at Warwick University in Britain. The bombings were carried out by drivers of two trucks, crammed with explosives, who drove through multiple checkpoints on a tightly patrolled highway. Their easy access raised questions over whether Shabab infiltrators had compromised security. The bombings also highlighted divisions within the government, particularly the security services, and the weakness of President Mohamed Abdullahi Mohamed, who came to power eight months ago with high expectations. His leadership has been further undermined by infighting among clans that control different parts of the government, which may have made the capital more vulnerable to Shabab attacks. “One of the problems is that there is growing discontent within the security services,” said Rashid Abdi, the Horn of Africa director at the International Crisis Group. When President Mohamed took office, he promised to pay salaries — the security forces had not been compensated for months — and improve training. But he has been unable to resolve some underlying disputes between the Somali National Army and the security services. Just before the Saturday attack, the defense minister, Abdirashid Abdullahi Mohamed, and Somalia’s military chief, Gen. Mohamed Ahmed Jimale, both resigned unexpectedly and without explanation. In recent years the Shabab have also capitalized on growing religious conservatism in the region, propelled by poverty and despair. Moderate gains in recent years as measured in elections and more inclusive government could easily disappear, analysts say. “There are large parts of the country lacking in opportunities and livelihoods, and the Shabab have been able to take advantage of that,” said Ahmed Soliman, an expert on Somalia at Chatham House, a research organization based in London.